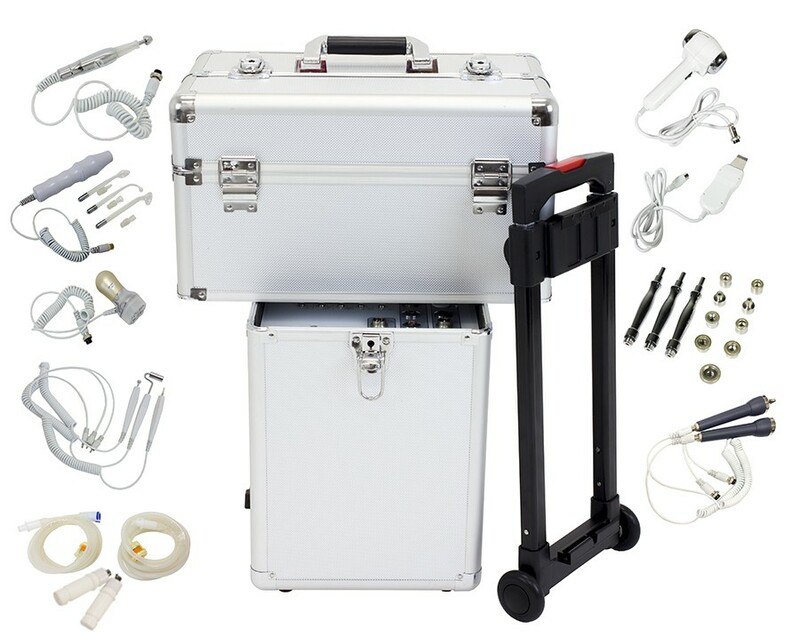 Esthetician Traveler 10 in 1 Multifunction Skincare Facial Machine Vacuum - Allows a deep cleansing of the skin, brings skins impurities to the surface, aiding in easy extractions. Includes a 3 piece vacuum set. Benefits: Deep pore cleansing of the skin. Spray - Cools and soothes the skin. Aiding in absorption into the dermis. Benefits: Aids products into skin, providing deep moisture and product benefits. High Frequency - Stimulates circulation of the blood, increases glandular activity, aids in elimination and absorption, increase metabolism, germicidal action, generates heat inside the tissue and aids in deeper penetration of products into the skin. Red gas only, no violet. Benefits: To aid in the treatment of acne, kills bacteria and possible skin infections. Skin Scrubber - Sonic Skin Scrubber helps to remove dead skin cells and reduce wrinkles, dark spots, dead skin and other skin problems. Galvanic - applies the principle of negative and positive current pulling. Cooperating with nutritional solution of anion and Cat-ion to introduce nutrition into skin and harmonize skin degree of acid and alkali. And also to accelerate blood circulation. Benefits: Utilizes sonic vibrations to reduce lines, leaving the skin firm and smooth. 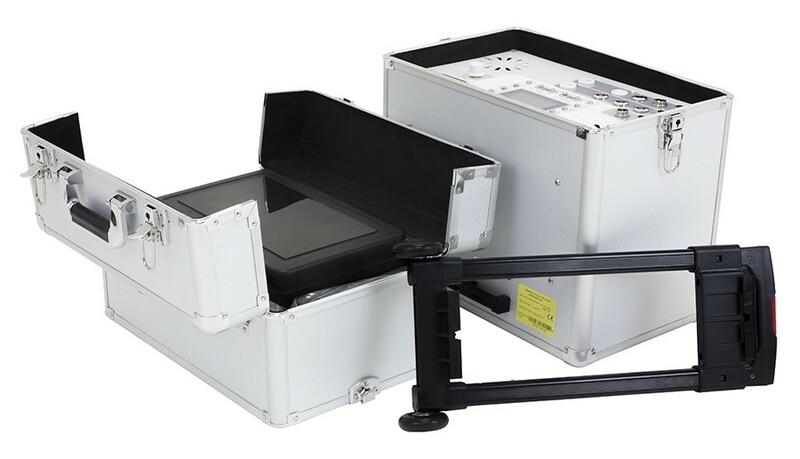 Features intensity control. Hot & Cold Therapy (Hammer) - The cold hammer function is designed for cooling down the skin after dermabrasion treatment; it will reduces redness of the skin. The hot hammer function is designed for accelerating the absorption of nutrients into the skin. Spot Remover - non-invasive spot remover is used to eliminate or shrink skin tags, acne pimples, minor fibromas, and cherry angiomas. 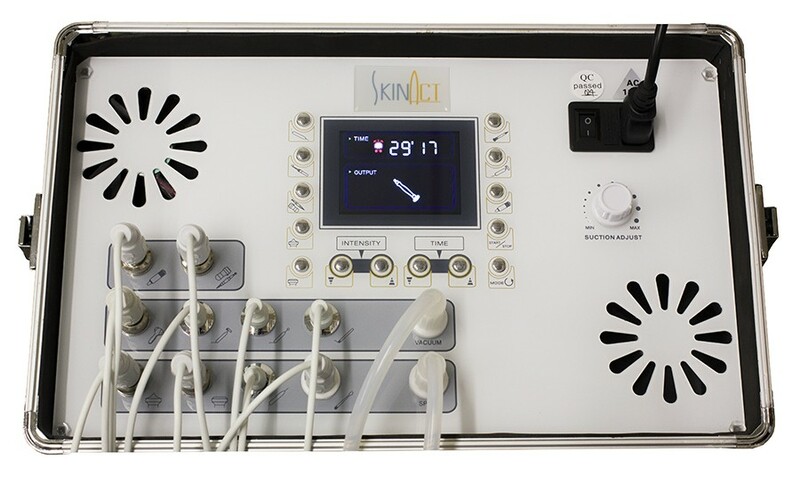 Ultrasonic - - Acoustic vibrations which stimulate the skin tissue and improves cell membrane and causes collagen regeneration. Reduces wrinkles and fine lines that for younger looking and feeling skin. 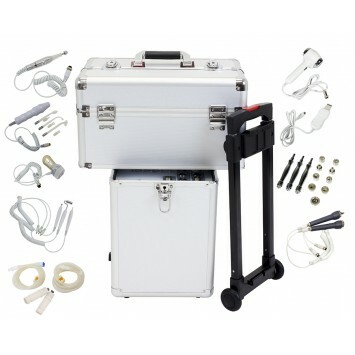 Ultrasonic also generates frictional heat which accelerates blood circulation and helps muscles to relax and decompose cellulite and deeper product penetration into the skin Diamond Microdermabrasion - The diamond microdermabrasion (crystal-free) system replaces the micro-crystal flow with a diamond tip wand. Areas closer to the eyes and mouth can be abraded more accurately with diamond abrasion (no risk of stray crystals causing damage or being ingested). Provides a Non-Surgical skin resurfacing procedure by using sterile diamond heads to peel and rub off the dead cells at the top skin layer followed by vacuuming/suction removing particles along with any dirt and dead skin. This procedure removes skin debris, scars, blemishes, wrinkles and uneven pigmentation of the skin. Moderate usage of diamond dermabrasion accompanied with skin products that penetrate through the top skin layer and reach the dermis level help to replenish natural nutrients and restore cell activity promoting healthy skin. Needleless Mesothrapy - Needle-free Mesotherapy is a newly developed technique, the active substances penetrate the skin and are absorbed deeply, achieving amazing results. It replaces the conventional mesotherapy, but without using needles. It is excellent to treat cellulite in all its stages, localized adiposity, flabbiness, stretch marks and wrinkles.